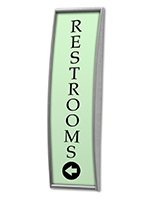 This Wall Sign For Wayfinding is 1 of Many Sizes Offered In This Online Catalog! This Particular Unit Fits 3" x 8" Signage! 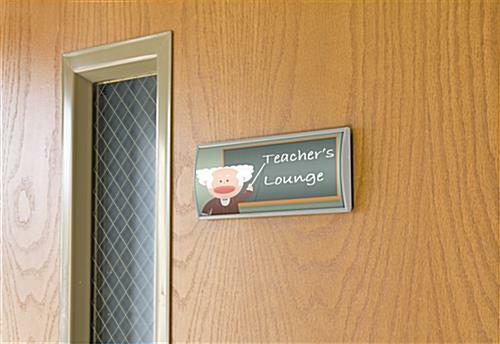 Browse Various Other Wall Sign frames Here! 3" x 11.5" 3" x 15" 4" x 5.5"
Fabricated from a silver aluminum extrusion for durability and longevity. 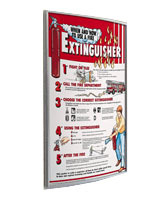 This wall sign that communicates information is an upscale solution for your office display needs. 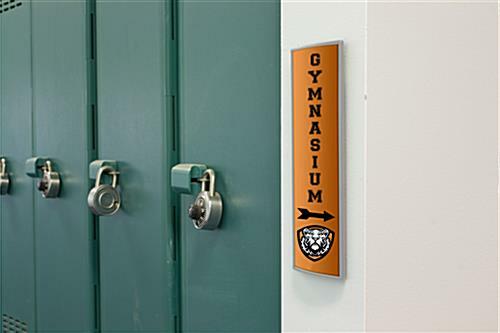 Durably constructed from anodized aluminum, this name holder can last for many years to come. 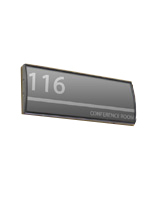 This wall sign is an affordable way to display room numbers, warning signs, department titles or names of office employees. Printed graphics are not included with this product. However, customers can easily create and print their own artwork using a regular printer. Each silver wall sign comes with a non-glare lens. The lens not only protects graphics from being tampered with, but it also helps to prevent glare from hindering the view of messages. 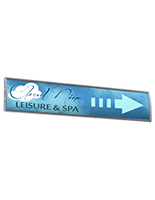 This signholder, wall sign for sale is also equipped with a suction cup, enabling users to lift the non-glare overlay for fast and easy sign changes. 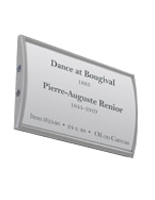 This name holder has a sleek black frame, an ideal coloring for use within virtually any indoor setting. The affordable wall sign, also known as office signage, can be used alone, to display an employee name. 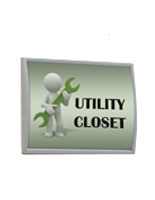 This product can also be used in sets to create a directory or wayfinding as well! 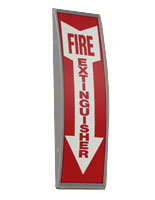 Featuring a curved design, the wall sign that is crafted from metal is sure to get noticed by passersby. Each of these signholders comes with double-sided adhesive on the back, for customers to easily attach the product to most flat surfaces. This wayfinding wall sign can be mounted both vertically and horizontally on the wall. 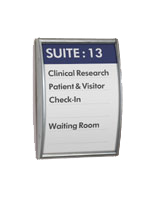 This signage system is perfect for use in office lobbies, classrooms, conference rooms and even reception areas.